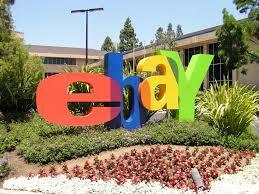 Does eBay’s AdWord study spell doom for paid search? The SEM industry is buzzing with the eBay Research Lab’s recent study (Consumer Heterogeneity and Paid Search Effectiveness: A Large Scale Field Experiment) which calls into question the effectiveness of paid search. I’ve read a few of the articles about the study and most focus on the doom-and-gloom and don’t really look closely at the actual study. I want to cut through all of the hype and see what actionable information we can actually learn from their study. A branded campaign is one where a search for your company’s brand results in paid ads at the top of the search results page directly above natural (also known as organic) unpaid links to the companies’ sites. Ebay’s study found that someone searching for your brand is likely to find their way to your website without the paid links. When they stopped their branded paid campaigns all traffic found their way through their natural search results. Any campaign using keywords not owned by the company would be considered non-branded search campaigns, even if some of those keywords are brand names. For example, if someone does a search for “Gibson les Paul” it is clearly a brand name guitar, but not a brand name guitar owned by eBay. Their non-branded search campaign experiments found that search advertising wasn’t effective on repeat customers for non-branded search advertising. When a frequent eBay shopper does a Google search for “Gibson les Paul” and an eBay ad for Gibson les Paul guitars shows up, it wasn’t effective at persuading the person to buy from eBay. The person was already familiar with eBay and would have eventually found their way to eBay as a resource for their search for a “Gibson les Paul” However, if a new or infrequent visitor to eBay saw the ad, there was a statistical significance to the persuasiveness of the ad. In other words, the ads had a positive ROI. The experiment reconfirmed the notion that advertising’s value comes from informing people about the existence of your product or services, not at persuading them to purchase. If the visitor is already familiar with your brand, then search advertising will have no additional benefit. While the study makes it clear that eBay’s brand recognition puts them in a unique situation, there are some insights that apply to most online advertisers. Use branded campaigns if competitors (or resellers) are targeting your brand name. Use branded campaigns if you’d like to highlight a special offer or new feature/service that customers, already familiar with your brand, would not be aware of. If neither of those above scenarios apply to your business, save your marketing dollars on something more meaningful. The informative view of advertising implies that targeting uninformed users is a critical factor for successful advertising. Therefore ROI calculations should be based on new visitors and not total visitors. In other words, if you have calculated a per visit value for your campaigns you should only factor new visitors. If you would like help optimizing your existing Google Adwords campaigns, or want to get started with AdWords and don’t know where to start, contact us!